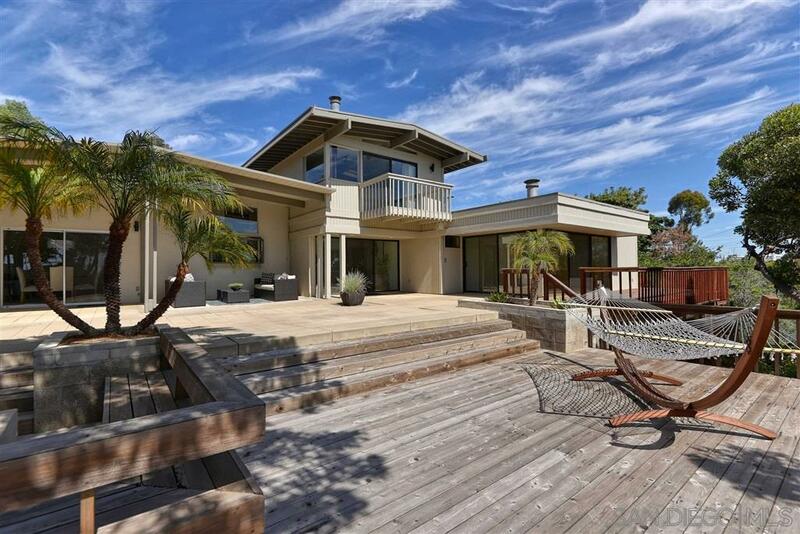 3129 Bremerton Pl, La Jolla, CA 92037 (#190013219) :: Ascent Real Estate, Inc.
Never before on the market, this essentially one-level home sits on an incredible .76 acre MOSTLY USABLE fenced site which is one of the largest in the neighborhood! 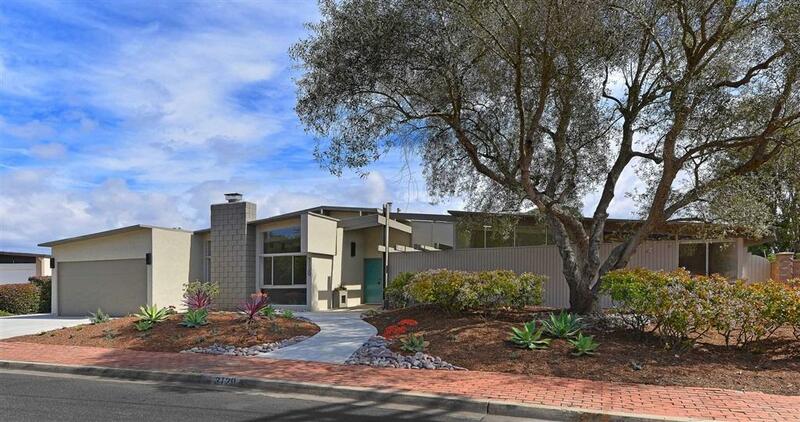 This unique mid-century Drogin has a 4+ car garage (938 sf) with 220V plugins and workshop, enormous storage, sizable bedrooms, utilitarian space and multipurpose rooms like library, wine cellar, and guest quarters which beautifully accommodate familiesÃ¢â‚¬â„¢ requirements for comfortable living. Continued in supplement remarks... Inside improvements, amenities, and additions include new carpet and paint; modernized kitchen (remodeled in 1980Ã¢â‚¬â„¢s) with full-size R and F each (2018), walk-in pantry, & plant window; 2 walk-in closets in MBR (one built out as an office); 3 FPÃ¢â‚¬â„¢s; stained glass windows; BR/extra FR w/ custom built-in Murphy bed w/ FP; 1 BR w/ atrium; added library w/built-in bookcases, FP, and skylight; huge storage rooms; central wireless alarm panel (unused); newer 200 amp service with new subpanels, plugs and switches (2018); newer heater/A/C; & 13x11 wine cellar. Outside let your kids & pets enjoy huge fenced yard, be a green thumb in the garden potting area, & enjoy evenings sitting around the firepit. 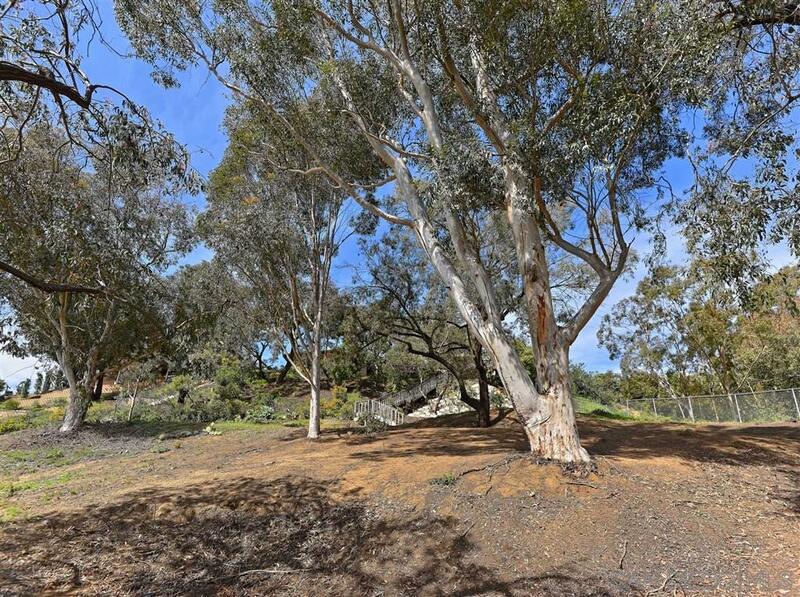 Walk to YMCA, Torrey Pines Elementary, UCSD & medical complex, religious & social organizations, Whole Foods/Ralphs. Easy access to I-5. 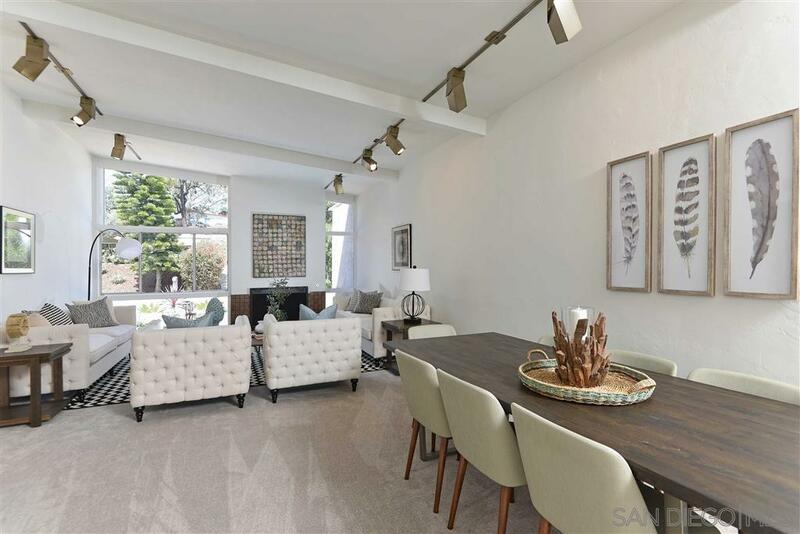 Per appraiser SF is 3607, city has 3662 SF. Neither includes wine cellar. Buyer to verify square footage. Trust sale sold as-is. Electric pole undergrounding schedule was allocated in 2018. Termite clearance completed January 2019.